Showing results for tags 'flavored'. 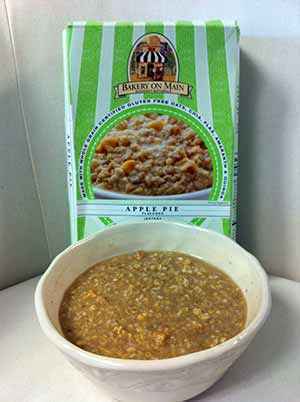 I am not a fan of any flavored gluten-free instant oatmeal, but Apple Pie Flavored Instant Oatmeal from Bakery On Main is the exception to my rule. 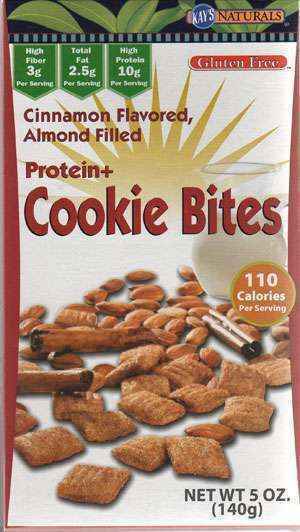 There are no artificial flavors and they only use real dried apples and cinnamon which gives it a true homemade comfort taste. This instant oatmeal is also blended with chia seeds, quinoa, and amaranth for additional nutritional value but you would never know if you didn't read the ingredients. Just add hot water, which makes the individual packets perfect for traveling, or to keep on hand as a healthy snack. Visit their site for more info. Note: Articles that appear in the "Gluten-Free Food Reviews" section of this site are paid advertisements. For more information about this see our Advertising Page.